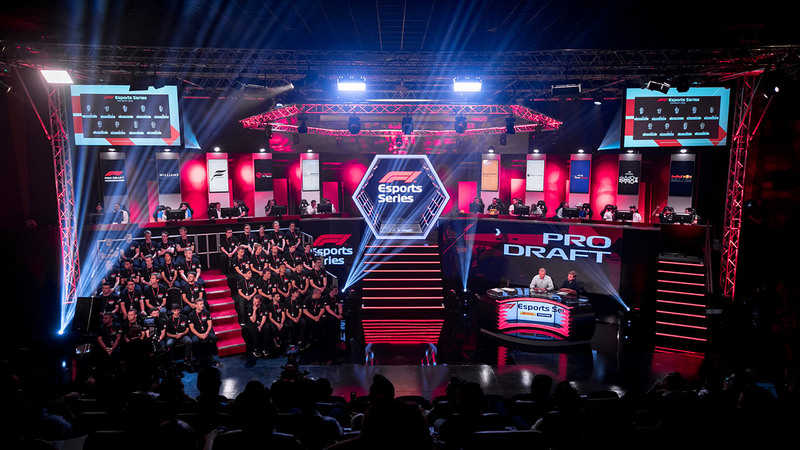 The Pro Draft is a distant memory for the Hype Energy eForce India team, 4 months on and the 2018 F1 new Balance Esports Pro Series is about to begin, but for Fabrizio, Mads and Marcel the start of the season will be their first chance to show the world just how quick they are in their new team. The first event will feature rounds 1 to 3 of the season, held at Australia, China and Baku. Each round will consist of a 20 minute practice session, short qualifying sessions and then a 25% race. Unlike real life F1, the performance of each car in the F1 Esports Series will be the same across the grid, irrespective of the team. This should help deliver close racing and wheel to wheel action as race results will all come down to driver ability. No driver assists will be allowed and the drivers will be able to bring custom setups for the races. F1 2018 by Codemasters brings new handling and physic updates to the series so the drivers who are familiar with last year's game from the 2017 F1 Esports Series will need to rehone their skills in preparation for the new season. Dynamic weather in the game will bring an extra element of strategy and skill, the drivers who will succeed are those that can read the conditions and pull off the right strategy, unlike in real life F1, there isn’t a strategy team to help make those calls, it’ll be up to the drivers to do it all during the race! Fabrizio Donoso Delgado: The 2017 F1 Esports Series runner up is back and ready to go one better this year, he's ironed out his weaknesses from last year and will be a hot pick to challenge for the top step. Mads Sørensen: Mads comes with lots of speed, the recipient of the DHL Fastest Lap award at the 2017 F1 Esports Series finals and with mature approach to his racecraft he'll be pushing hard for a space on the team. Marcel Kiefer: A relative novice to the world of sim racing, Marcel hails from Germany and has proven his speed in Apex Online Racing and in the 2017 F1 Esports Series, he's determined and faster than ever! You will be able to watch the first live event via f1esports.com and support Hype Energy eForce India as they bid for victory. Watch episode 1 of 'Hype Energy Esports How To', a series that takes you behind the scenes to show you the skills and work needed to perform at the top level of esports.